Our exclusive Solar Home UPS efficiently stores power from sunlight, which is afterward on used to supply electricity to the Electronic Appliances when power goes off. 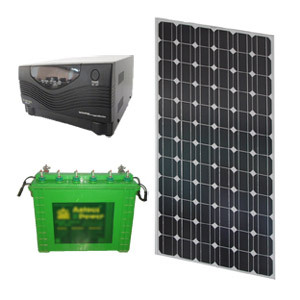 It is mainly made up of solar panel, solar controller and storage battery. The entire system's uninterrupted performance would be highly appreciable.